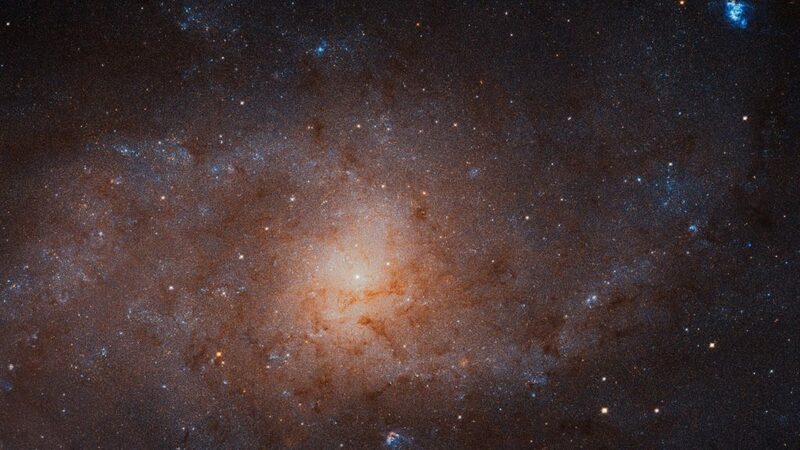 January 7, 2019 – The NASA/ESA Hubble Space Telescope has captured the most detailed image yet of a close neighbor of the Milky Way — the Triangulum Galaxy, a spiral galaxy located at a distance of only three million light-years. This panoramic survey of the third-largest galaxy in our Local Group of galaxies provides a mesmerising view of the 40 billion stars that make up one of the most distant objects visible to the naked eye. At only three million light-years from Earth, the Triangulum Galaxy is a notable member of the Local Group — it is the group’s third-largest galaxy, but also the smallest spiral galaxy in the group. It measures only about 60,000 light-years across, compared to the 200 000 light-years of the Andromeda Galaxy; the Milky Way lies between these extremes at about 100,000 light-years in diameter.